Already well known for its vast inventory of fine American-made furniture, Stenella Interiors adds interior design expertise and other complementary services to its repertoire. It’s one of Charles Dobbs’ favorite lines. 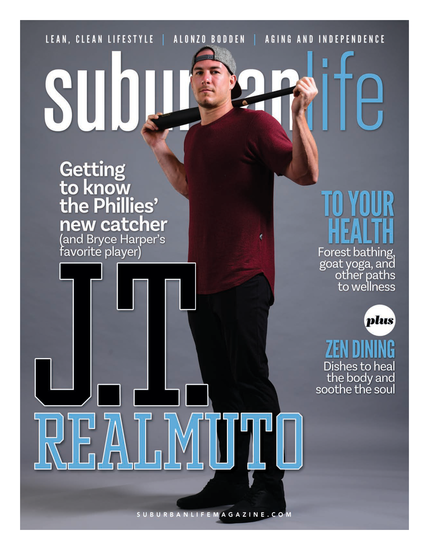 He often uses the phrase as a conversation starter, so he can begin to understand how he can best serve the individuals who walk through the doors of Stenella Interiors in Lansdale. As the showroom’s head of visual merchandising, Dobbs uses his keen eye and more than 20 years of experience in interior design to assist clients in their quest to find the perfect piece—or pieces—of high-quality furniture for their home. Having someone with Dobbs’ background and experience on the showroom floor is of great value to prospective clients. 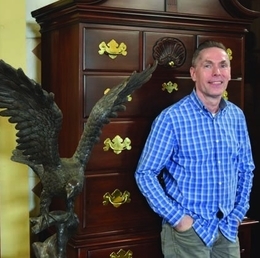 His presence “really changes the game for us,” according to Jim Stenella, owner of Stenella Interiors and its sister store in Perkasie, Stenella Antiques. After all, Dobbs can help homeowners peruse each of the two showrooms, spanning a total of 50,000 square feet, to peruse the exhaustive inventory of fine, handcrafted furniture from American and international manufacturers. The showroom specializes in exquisitely made furniture in the 18th century traditional styles through midcentury and modern design. Key brands include Baker, Councill, D.R. Dimes, Eldred Wheeler, Henkel Harris, Henredon, Karges, Kindle, Kittinger, Stickley, and many more top-quality brands. Who else shops here? Stenella says East Coast-based production studios in need of distinctive pieces for shows such as House of Cards and Madam Secretary, as well as several Netflix originals and current projects from several other production studios, use Stenella’s two showrooms as regular stops to purchase furniture. Likewise, he says Realtors often come in to buy or rent furniture for home-staging purposes. Stenella Interiors often works with key manufacturers to custom order pieces for clients. In addition, the showroom provides a host of complementary services, such as custom upholstery and custom painting/gilding. For those in need of in-home delivery, either in the Greater Philadelphia Area or across the country, Stenella Interiors provides that level of service, too. The entire inventory can be viewed online, so most customers spend ample time scrolling through the lineup before they ever step through the door. Even so, Dobbs says they’re usually quite surprised by the things they find once they start walking around the showroom.